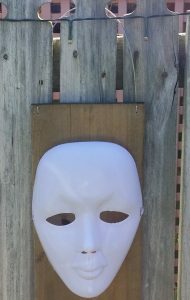 I got some white plastic masks off eBay for a few dollars each. They may look good attached to a small board, hung on the fence. There is a 5mm flicker LED illuminating it. The LED was roughly filed to diffuse it. When i got back to doing more on this project, I decided to use a high brightness red LED. 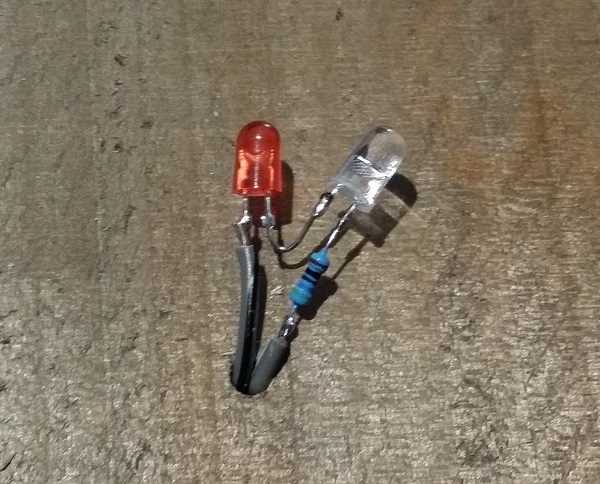 Since I had a heap of yellow flicker LEDs, I put one of those as well as a 470R resistor in series with the red LED. 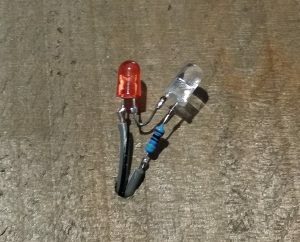 This means I can run them off a centralised 12V supply. The incoming 12V cable is fed through a small hole in the board. 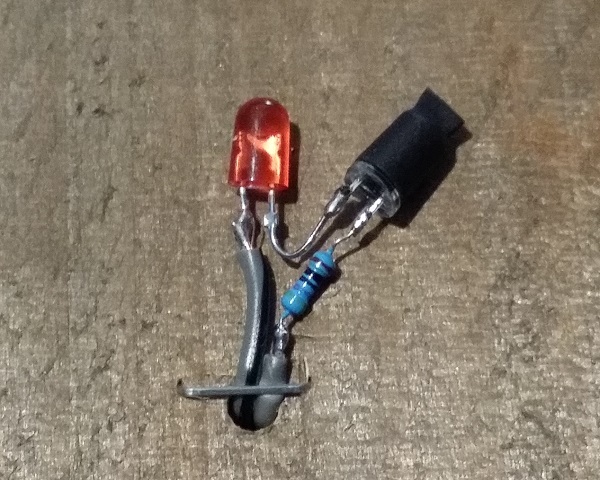 The flicker LED was covered with some 6mm (1/4″) heatshrink. You can crimp the end of the heatshrink with your fingers as it cools. 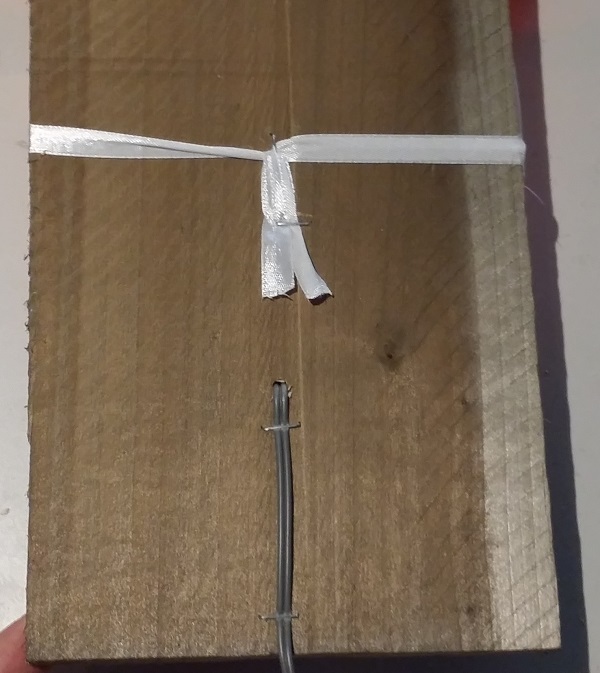 A staple was used to hold the wire in place. Use the lowest setting on the staple gun so you don’t crush it. 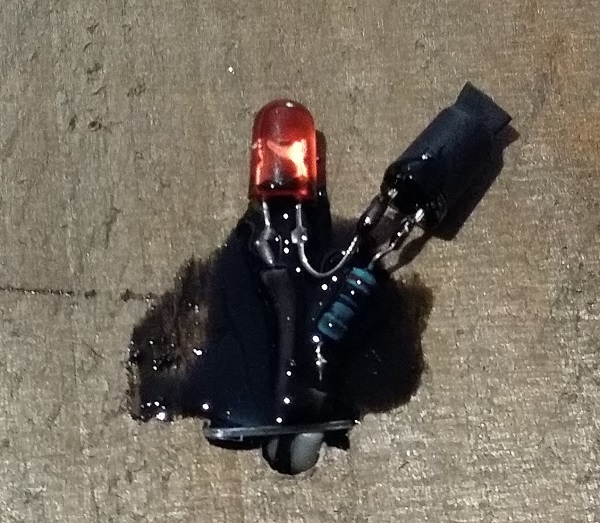 Some liquid electrical tape was used to cover the connections. This will protect it somewhat against the rain. 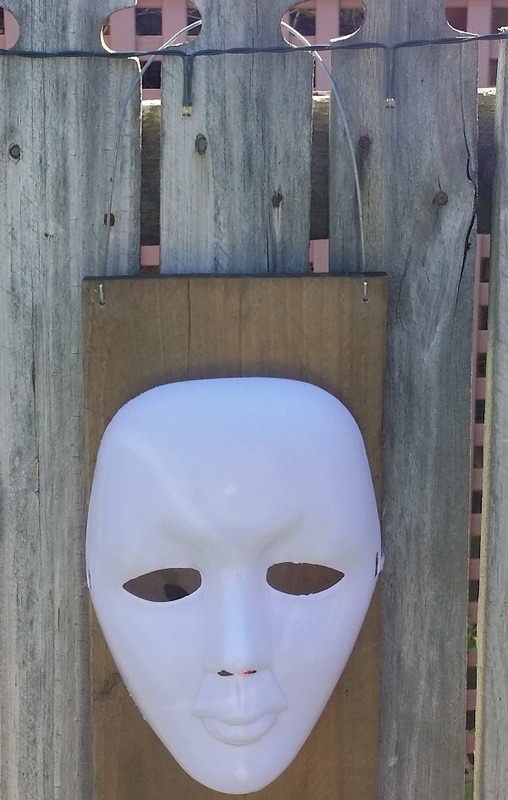 After testing, the mask was put over the front. The staple gun was employed again to hold the ribbon in place. 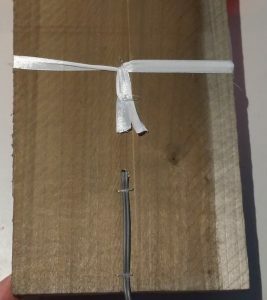 The wiring was also stapled into place. 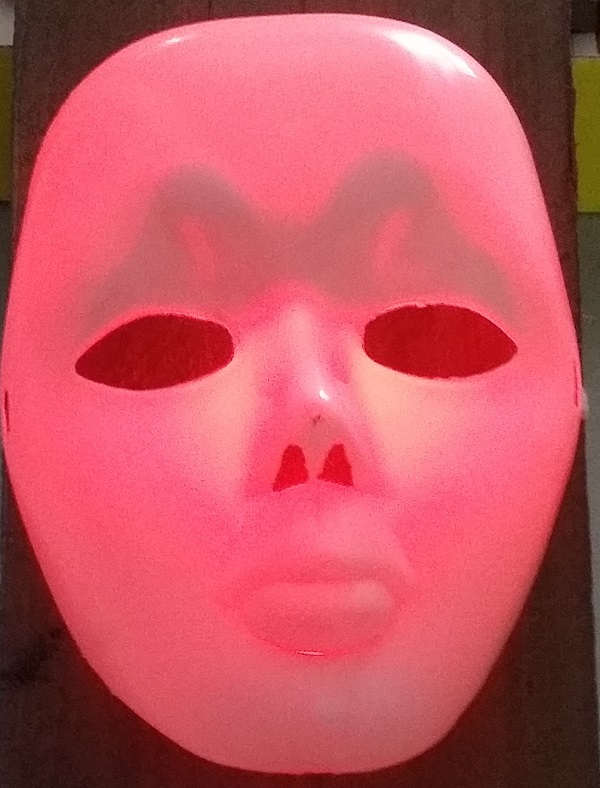 This shows the relative placement of the LED under the mask. I like the shadow produced above the eyes. It makes it look a little more sinister! 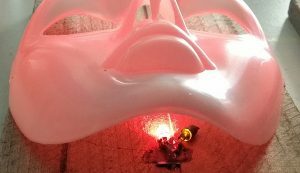 Here’s the two completed masks running from a 12V power supply. To mount them on the fence, I used fence wire. A couple of small holes at the top of the board, some bends and we’re done!